The ROM must be listed as licened by Nintendo. Then an 8-bit checksum is calculated from the title field (0134-0143) and checked against an internal table. If all is good, a custom palette will be loaded based on the title checksum. Below is a list of ROMs that my script was able to detect. Try any of these ROMs on a real GBC, or in BGB with the GBC boot ROM present and enabled. 1993 Collection 128-in-1 (Unl) [b1].gb = "ALLEY WAY"
Game Genie V1.17 BIOS [h1].gb = "TETRIS"
Deadline (PD) [M].gb = "DEADLINE/INFOCOM"
which adds to a checksum of 0x70, which collides with Zelda, Link's Awakening, which just has a title of "ZELDA" across both regions. I will extract a full color table for all these ROMs at a later point. 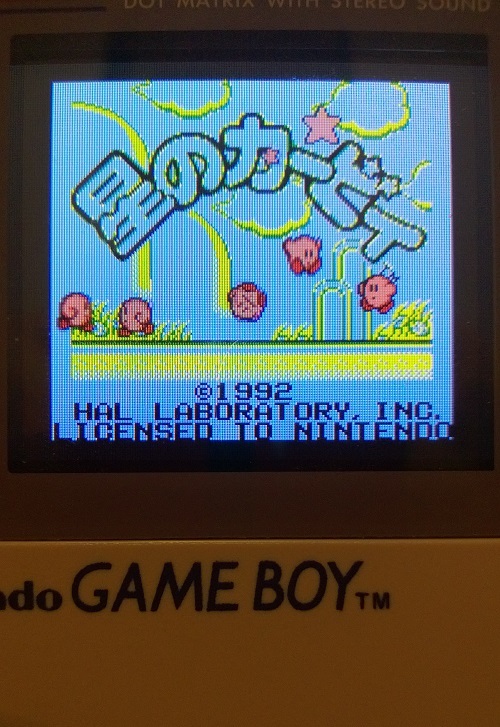 And for the record, that Kirby palette is actually somewhat bearable on the much crappier original GBC screen. D'oh! That's exactly the kind of the thing I was looking for. I hadn't thought of TCRF for something that isn't a game on its own! I know I'm probably resurrecting an old thread, but I was just wondering if there is a simple routine I can run in my emulator to detect if the loaded ROM would have a custom palette in the GBC boot room. To start with I was just going to maintain a list of games I found that did have custom palettes but considering this information is in the boot rom somewhere I must be able to implement a similar routine to determine if its present. Next, a hash is calculated by adding all the bytes in the header title field ($0134-$0143). This hash is checked against a table at $06c7-$0716. If the hash is in that table, the ROM will be colorized, otherwise not. Iirc there's some other minor wrinkle as well, but that's basically it. Is the table of hashes just a list? Or does it have a structure I can read up on somewhere?